Moisture retention can most easily be described as the water that remains in the goods after the washing process is complete. 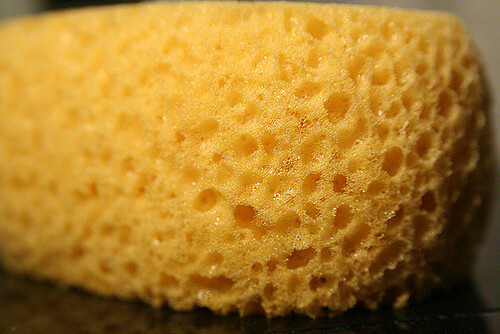 A typical wash process will wet the goods, apply appropriate chemicals, rinse those chemicals away, and finally extract water from the goods at the end of it all. 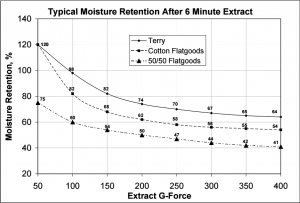 This final extraction step determines the final moisture retention of the goods and is directly related to the G-force at which the goods were extracted: The higher the extraction force is, the lower the moisture retention. It is important to note that this process is not linear, for example, doubling the G-force won’t automatically halve the moisture retention. For convenience, I’ve included a handy graph below for some typical fabric types (click to see it full sized). The graph shows roughly how much water is left in the goods after extract, expressed as a percentage of the original dry weight prior to washing. 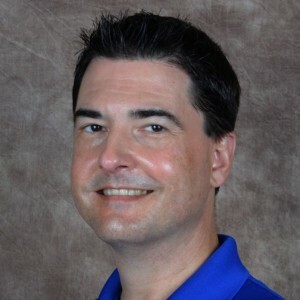 For example, 100 pounds of dry terry towels will hold about 98 pounds of water after being washed and extracted at 100G. Now you’ll take those still very wet towels and place them in the dryer where that 98 pounds of water will have to be evaporated. Using the handy formula in the Laundry Planning Guide, we find that 98 pounds equal about 11-3/4 gallons of retained water that must be evaporated. Less water to evaporate means less total time to dry, increasing efficiency. Less time to dry means less fuel consumed in the drying process, lowering direct costs. Less time spent tumbling in the dryer reduces wear on the goods, increasing their life. A given laundry can reduce total dryer capacity by 20%, meaning lower machinery investment is needed. For the same laundry throughput, less floor space is required. Just like your mom always told you, there can definitely be too much of this good thing. Once you extract above 400G or so, the risk of fabric damage becomes apparent. Plus, referring again to the graph, there isn’t a notable difference between 350G and 400G, only an additional 1 pound of water is removed (only an additional 1 cup of water). 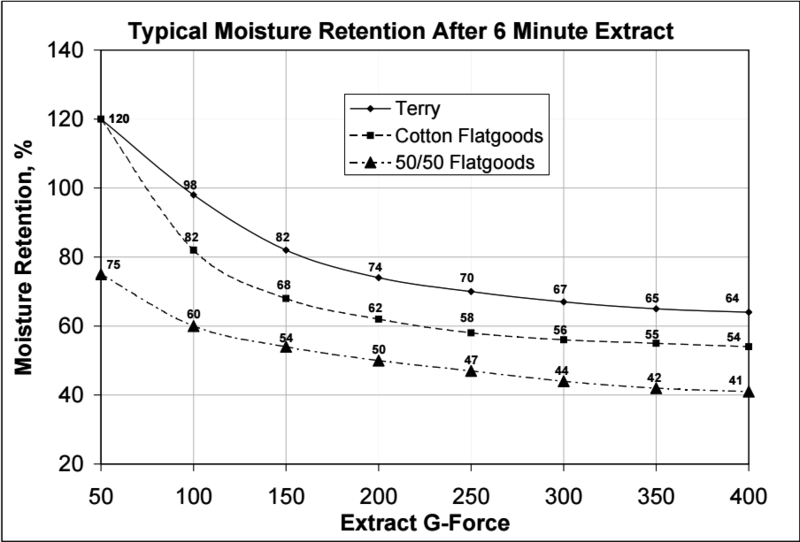 As G-force increases, the gains in moisture removal get smaller and smaller for each increase. These higher speeds are also difficult for the washers to achieve consistently and most manufacturers that offer these high-speed machines use various tricks to get around this very hard limitation. Wash and promptly remove the goods from the washer after final extract. Remove a sample of 10 pieces from the middle of the pile as goods on top will tend to be a bit dryer, giving false results. Immediately weigh your sample of 10 pieces and record this weight as W1. Place these goods into the dryer and dry until completely dry. Remove the sample of 10 pieces from the dryer and weigh. Record this weight as W2. 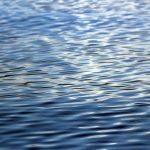 What percentage of moisture remains in bath towels and bar towels after proper conditioning? The numbers above assume a 6 minute extract at the required speed to achieve the listed G-force. Machine size is not important, only the extract force.